Tempering the Asian-inspired gray, black, and white floral wool upholstery with a solid gray fabric seat, this accent chair shows off its classic curves. Add a throw pillow or two with stripes and a dusty rose accent color, and you have the perfect finishing touch. This cozy accent chair ups its game with striking upholstery and a tufted back with contrasting buttons. The solid colored seat offers a comfortable place to relax and the tapered wood legs balance the curved back and arms. 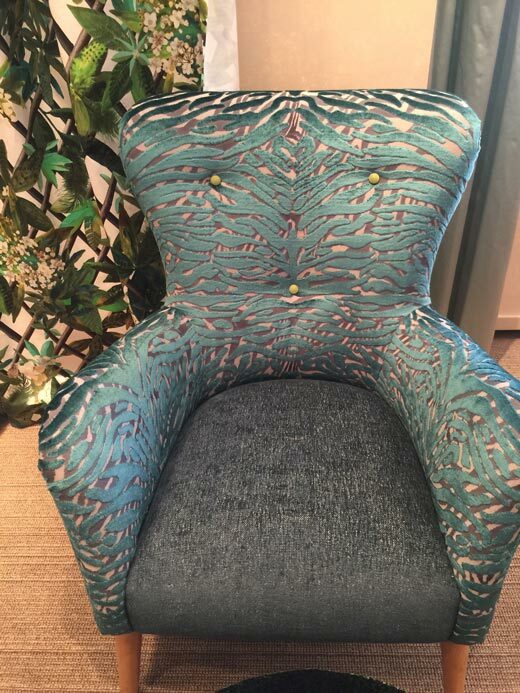 Everyone will notice this chair sitting in the corner of your contemporary living room. 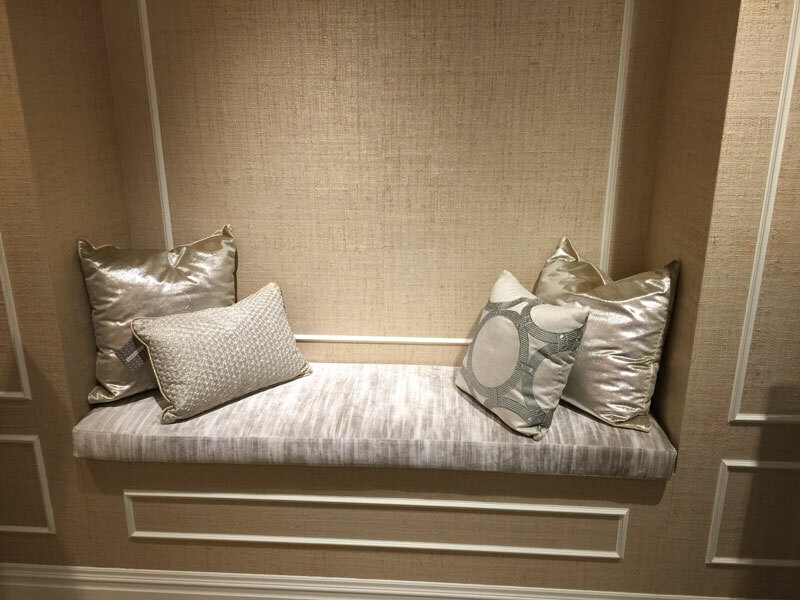 Make this cozy yet glamorous bench nook your favorite place in your home to relax and read. Lush, plump throw pillows covered in subtly patterned fabrics cradle your back as you lean against the wall. 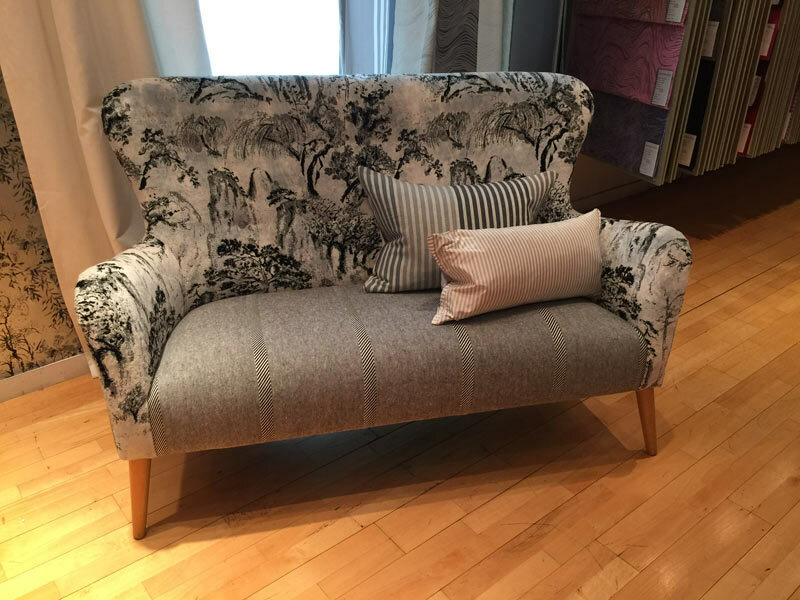 Stretch out on the bench seat in comfort as you turn the pages of the latest bestseller. 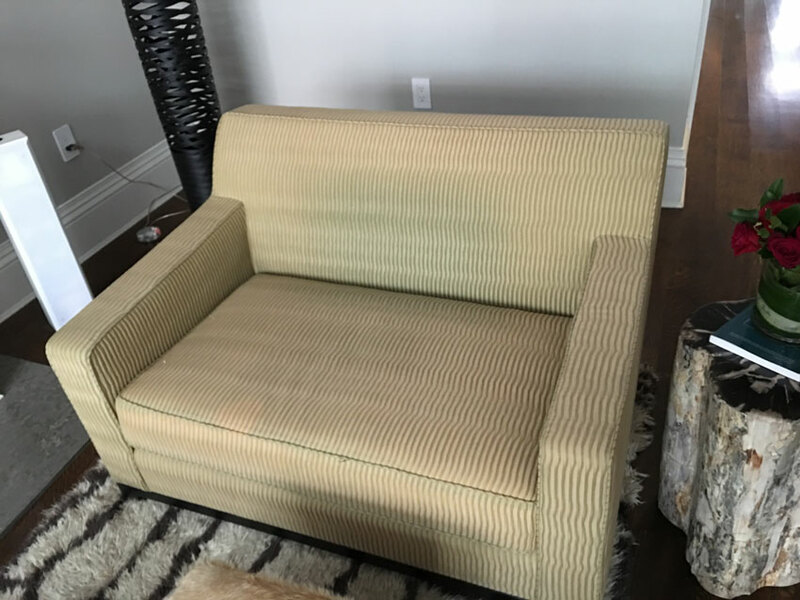 The understated fabric texture and pattern work perfectly with the straight lines of this club chair. Both modern and classic, this piece works in nearly every room of your house from office to master bedroom. To soften its masculine vibe, frame it with soft but subtle window treatments such as Silhouette blinds or a Roman shade. Although completely upholstered, these dining room chairs remain light and airy due to the softly colored and subtly patterned fabric which covers them. 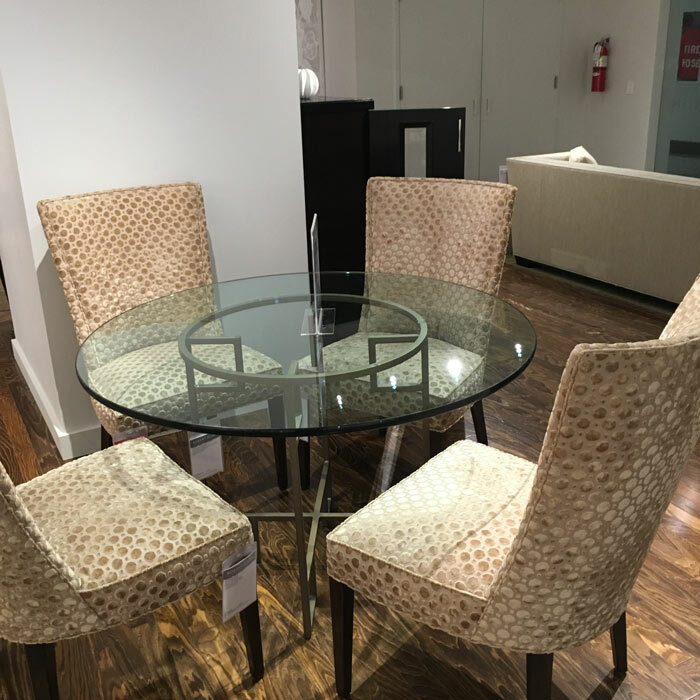 Paired with a round glass top table, this dining set would fit perfectly near a large window with sheer side panel drapery luxuriously puddling to the floor. 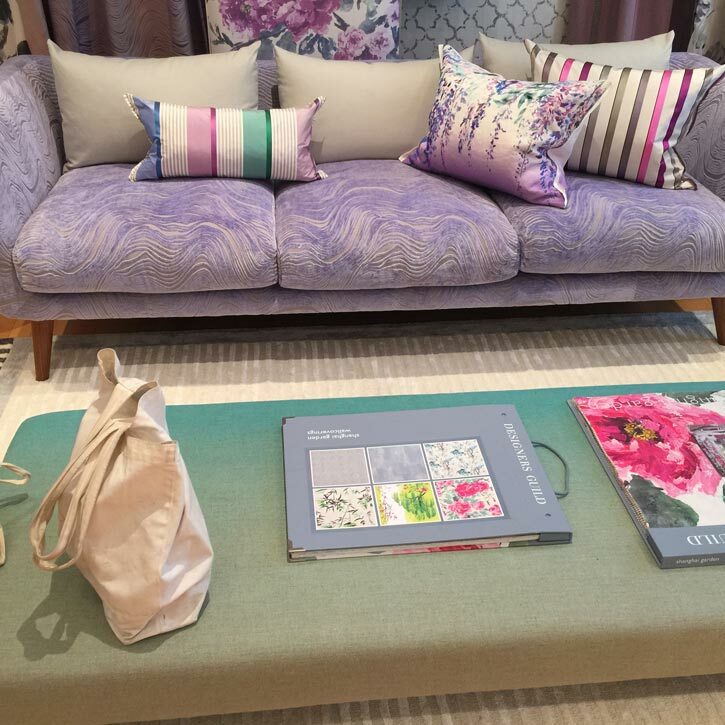 Make your sofa the star of the show with this bright purple upholstery. Tone it down just a bit with a mix of tan back cushions and brightly colored striped and floral throw pillows. 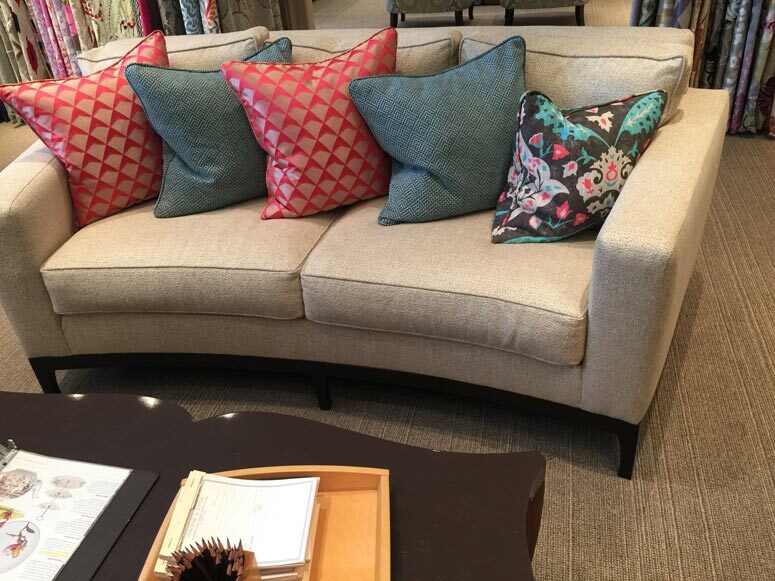 Keep the energy level up high by adding a teal fabric covered coffee table/ottoman and floral print drapery. The severe lines of this neutral toned tuxedo loveseat are softened by a group of luxurious and plush throw pillows across the back. Contrasting colors and patterns keep the look interesting without being overwhelming. The floral fabric on the final pillow brings all of the colors together for a harmonious finish. 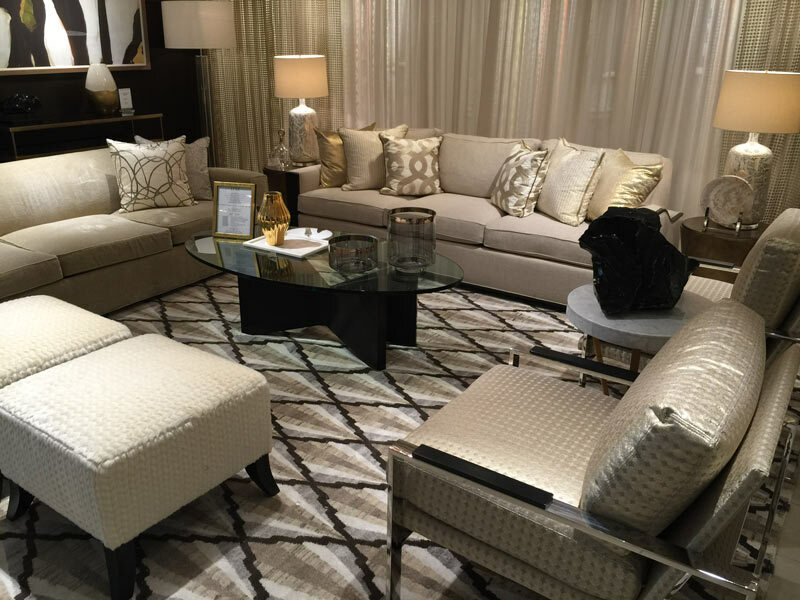 A variety of beige, cream, and tan tones keep this monochromatic living room both contemporary and elegant. Touches of black, along with textured and patterned textiles, keep the room from being boring by adding interest and movement. Soft and sheer window treatments frame the large windows without obstructing the glorious view. Break up the expansive walls in your contemporary loft by using upholstery in an intriguing manner. With the traditional look of a tufted cushion, its diamond shape design draws you in and entices you to run your hand across the soft pattern. 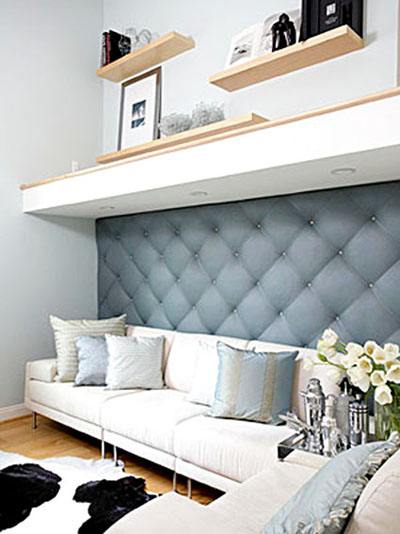 The gorgeous grey-blue is reflected in the wall color and throw pillows.